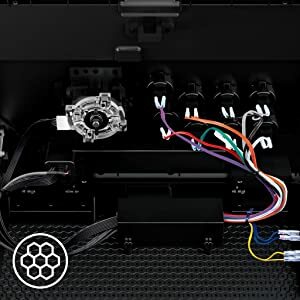 Built on years upon years of collective arcade and console gaming experience from pro gamers and the Razer community alike, the original Razer Atrox arcade stick was engineered and refined to perfection through countless prototypes via an extensive beta testing phase. 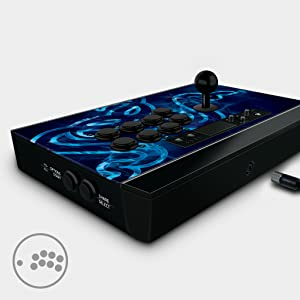 The Razer Panthera Arcade Stick for PlayStation 4 follows the same principle and has been crafted to allow the same advanced modification that gamers and modders have come to love over the years. 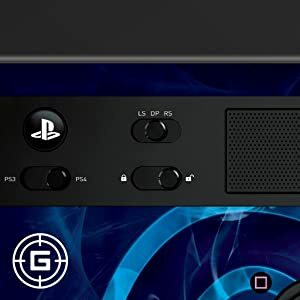 On top of having internals and storage easily accessible at the touch of a button, you can also fully change the joystick and all 10 buttons for complete customizability. Authentic Sanwa joystick with ball top and additional bat top. Easy one-touch access to internals and storage. Fully accessible internals and storage compartments for easy modding. Honeycomb structure on the inside for easy screw mounting. Storage room for alternative bat top joystick and more. 13 ft / 4 m detachable screw-lock USB cable for secure connection. At its core, the Razer Panthera is a tournament-grade fighting machine built to enhance your gaming prowess. By using premium quality Sanwa components—10 highly responsive buttons and a precision 8-way joystick, you can reliably strike instantly and surely, game after game, while maintaining peak performance. 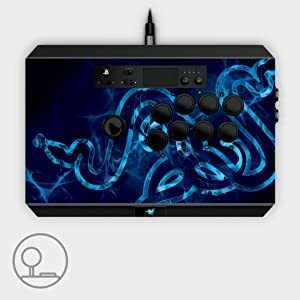 The Razer Panthera was built for modding enthusiasts, so the inside of the platform is easily accessible for further customization, and the joystick as well as buttons can be switched to suit your playstyle. Furthermore, the entire bottom of the internal compartment is made to be easy to screw mount in every location. 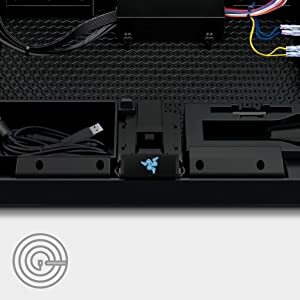 At the touch of a button, the internal compartment of the Razer Panthera opens up to reveal dedicated slots for you to store the included detachable screw-lock cable, a bat top joystick, and screwdriver. There is also ample space for two extra buttons, ensuring that you have all the room you need when you take this weapon on-the-go. 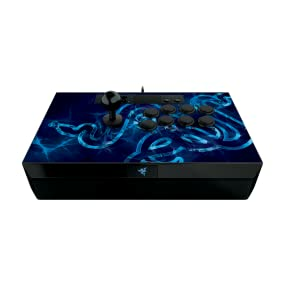 The Razer Panthera features a Tournament Gaming Mode that allows the deactivation of the Start/Options, Select/Share, and the PlayStation buttons, preventing them from being pressed accidentally during games, so you don’t get disqualified during tournament matches at critical moments. This lets you play with a peace of mind, without frustrating surprises. 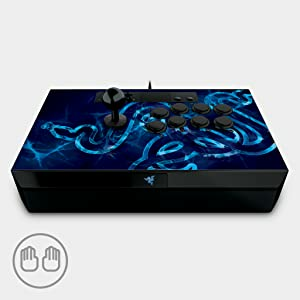 The Razer Panthera features extensive compatibility with many highly-popular fighting games. Now you can simply pick your favorite title and play just like you’re in an arcade as you begin establishing your dominance in the FGC. The wide profile and weight of the Razer Panthera is specifically designed to be perfectly balanced and ergonomically more comfortable when it’s on your lap, minimizing strain while the non-slip rubber base makes slipping up in the heat of action a thing of the past.